A selection of books, articles and conference presentations relating to the history of knitting. It is not a comprehensive knitting history bibliography, merely an introduction to knitting and crochet research. Some information on other non-woven textiles is also included. Bennet, Helen. Scottish Knitting. Aylesbury: Shire Publications, 1986. Black, Sandy. Knitwear In Fashion. London: Thames and Hudson, 2002. Black, Sandy. Knitting: Fashion, Industry, Craft. London: V&A Publishing, 2012. Chapman, Stanley. Hosiery and Knitwear: Four Centuries of Small-scale Industry in Britain c.1589 – 2000. Oxford: Oxford University Press/Pasold Research Fund, 2002. Collingwood, Peter. The Techniques of Sprang: Plaiting on Stretched Threads. Guilford: The Lyons Press, 1999. Compton, Rae. The Complete Book of Traditional Knitting. London: Batsford, 1983. Dirix, Emmanuelle, ed. Unravel: knitwear in fashion. Tielt: Lannoo, 2011. Fogg, Marnie. Vintage Fashion Knitwear. Asheville: Lark, 2010. Fryer, Linda. Knitting by the Fireside and on the Hillside: A History of the Shetland Hand Knitting Industry c.1600-1950. Lerwick: The Shetland Times, 1995. Gosling, Lucinda. Knitting for Tommy. London: Mary Evans Picture Library, 2014. Guðjónsson, Elsa E. Notes on Knitting in Iceland. Reykjavik: Elsa Guðjónssonn, 1990. Haglund, Ursula. Bohus stickning 1939 – 1969. Goteborg: 1980. Halcrow Nicholson, Heather. The Loving Stitch: A History of Knitting and Spinning in New Zealand. Auckland: Auckland University Press, 1998. Hartley, Marie and Ingilby, Joan. The Old Hand Knitters of the Dales. Otley: Smith Settle, 1991. Harvey, Michael and Compton, Rae. Fisherman Knitting. Aylesbury: Shire Publications, 1978. Hemmings, Jessica. In the Loop: Knitting Now. London: Black Dog Publishing, 2010. Henson, Gravenor. History of the Framework Knitters. Newton Abbot: David & Charles, 1970. Hervey, Michael. Patons: A Story of Handknitting. Ascot: Springwood Books, 1985. LeCount, Cynthia Gravelle. Andean Folk Knitting: Traditions and Techniques from Peru and Bolivia. Saint Paul: Dos Tejedoras Fiber Arts Publications, 1990. Lovick, Elizabeth, ed. Centenary Stitches: Telling the story of one WW1 family through vintage knitting and crochet. Flotta: Northern Lace Press, 2014. Miller, Sharon. Shetland Hap Shawls: then and now. Okehampton: Heirloom Knitting, 2006. McGregor, Sheila. Traditional Fair Isle Knitting. New York: Dover, 2003. Meikle, Margaret. Cowichan Indian Knitting, University of British Columbia Museum of Anthropology Museum Note 21. Vancouver: UBC Museum of Anthropology, 1987. Menkes, Suzi. The Knitwear Revolution. London: Bell & Hyman, 1983. Nordland, Odd. Primitive Scandinavian Textiles in Knotless Netting, Studia Norvegica No.10. Oslo: Oslo University Press 1961. Overby, Marianne. Nålebinding. Copenhagen: Books On Demand, 2014. Palmer, Marilyn. Framework Knitting. Aylesbury: Shire Publications, 1984. Paludan, Liz. Crochet: History and Technique. Loveland: Interweave, 1995. Potter, Annie Louise. A Living History: The International Art and History of Crochet. [N.p. ]: A.J. Publishing International, 1990. Rutt, Richard. A History of Handknitting. London: Batsford, 1987. Scalessa, Nicole. Historic Reflections In Crochet. Philadelphia: The Library Company of Philadelphia, 2001. Scalessa, Nicole. “The Hook and The Book”: The Emergence of Crochet and Knitting In American Popular Culture, 1840-1876. Philadelphia: The Library Company of Philadelphia, 2001. Scott, Shirley. Canada Knits: Craft and Comfort in a Northern Land. Scarborough: McGraw-Hill Ryerson, 1990. Steenhagen, Polly and Siddali, Silvana. Tunisian Crochet a la Mode. [N.p. ]: [n.p. ], 2008. Strawn, Susan M. Knitting America: A Glorious Heritage from Warm Socks to High Art. St Paul: Voyageur Press, 2007. Sundbø, Annemor. Invisible Threads in Knitting. Kristiansand: Torridal Tweed, 2007. Thomas, Mary. Mary Thomas’s Knitting Book. London: Hodder & Stoughton, 1938. Treanor, Marie. Clones Lace: the Story and Patterns of an Irish Crochet. Mercier Press: Cork, 2002. Turnau, Irena. History of Knitting Before Mass Production. Warsaw: Institute of the History of Material Culture, Polish Academy of Sciences, 1979. Turner, Pauline. Crochet: A History of the Craft Since 1850. Aylesbury: Shire Publications, 1984. Turney, Jo. The Culture of Knitting. London: Berg, 2009. Udale, Jenny. Fashion Knitwear. London: Laurence King, 2014. Upton, DeAnn. Civil War Era Knit and Crochet Patterns. Raleigh: Lulu.com, 2005. Walton, Penelope. Textiles, Cordage and Raw Fibre from 16-22 Coppergate (The Archaeology of York Vol.17, Part 5). London: Council for British Archaeology for York Archaeological Trust, 1989. Williams, Sheila. The History of Knitting Pin Gauges. Ely: Melrose Books, 2006. Wright, Mary. Cornish Guernseys and Knit-frocks. Penzance: Alison Hodge, 1979. Abrams, Lynn. ‘Knitting, Autonomy and Identity: The Role of Hand-Knitting in the Construction of Women’s Sense of Self in an Island Community, Shetland, c. 1850–2000’. Textile History, Vol.37, No.2, 2006. Atkinson, Jennie. ‘Unravelling the knitting pattern.’ Text, Vol.36, 2008-9. Bäckström, Hanna. ‘’An Amusing and Useful Pastime’: Knitting as a Performance of Femininity,’ in M. Alm (ed), Performing Herself: Everyday Practices and the Making of Gender in Early Modern Sweden, Uppsala: Uppsala University, 2017. Bäumel, Jutta and Gisela Bruseberg. ‘Eine gestrickte Seidenhose des Kurfürsten August von Sachsen – unikaler Beleg für die fürstliche Strickmode im 16. Jahrhundert.’ Jahrbuch der Staatlichen Kunstsammlungen Dresden, Vol.22, 1995. Belfanti, Carlo M. ‘Fashion and Innovation: the Origins of the Italian Hosiery Industry in the Sixteenth and Seventeenth Centuries’. Textile History, Vol.27, 1996. Bender Jørgensen, Lise. ‘Stone-Age Textiles in North Europe’ in P. Walton and J. Wild (eds), Textiles in Northern Archaeology, Textile Symposium in York, North European Symposium for Archaeological Textiles Monograph 3, NESAT III. London: Archetype Publications, 1990. Blackman, Cally. ‘Hand knitting in Britain from 1908-39: the work of Marjory Tillotson.’ Textile History, Vol.29, No.2, 1998. Boswell, Mary Rose. ‘Documenting Laconia’s Knitting Mills: A Comparison of the Belknap Mills Corporation and Two Present-Day Knitting Mills.’ The Journal of the Society for Industrial Archeology, Vol.20, No.1/2, 1994. Brears, Peter. ‘The Knitting Sheath.’ Folk Life, Vol.20, 1981. Brown, Carol. ‘Textile Form and Counter Form: The Revival and Reinterpretation of Composite Knit and Crochet Constructions of the 1930s‐1940s.’ Textile: The Journal of Cloth and Culture, Vol.10, No.1, 2012. Buckland, Kirstie. ‘The Monmouth Cap.’ Costume, Vol.13, 1979. Buckland, Kirstie. ‘Woollen caps’, in J. Gardiner and M.J. Allen (eds), Before the Mast: Life and Death Aboard the Mary Rose, Portsmouth: Mary Rose Trust, 2005. Buckland, Kirstie. ‘“A sign of some degree” – the Mystery of Capping.’ Text, Vol.36, 2008-9. Burnham, Dorothy. ‘Coptic Knitting: An Ancient Technique.’ Textile History, Vol.3, December 1972. Bush, Nancy. ‘Nalbinding: From the Iron Age to Today.’ Piecework Magazine, Vol.9, May/June 2001. Candee, Richard M. ‘Domestic Knitting in the Factory Age: Anglo-America Developments of the “Family” Knitting Machine.’ Textile History, Vol.29, No.1, 1988. Carden, Siún. ‘Cable Crossings: The Aran Jumper as Myth and Merchandise.’ Costume, Vol.48, No.2, 2014. Chenut, Helen Harden. ‘Gender and Textile Culture: The case of the French Knitting Industry.’ Material History Bulletin, No.31, 1990. Cooke, W. D. and Tavman-Yilmaz, M. B. ‘Hand Knitting, Frame Knitting and Rotary Frame Knitting in the 17th, 18th and 19th Centuries. A Question of Identification.’ Textile History, Vol.30, No.2, 1999. Drinkler, Dagmar. ‘Tight-fitting Clothes in Antiquity and the Renaissance.’ Journal for Art Technology and Conservation, Vol.24, No.1, 2010. Dubuisson, Marguerite. ‘La bonneterie,’ in M. Daumas (ed), Histoire générale des techniques, Vol. 2. Paris: Presses Universitaires de France, 1965. Ehrman, Edwina. ‘Sixteenth century knitting at the Museum of London.’ Medieval Dress and Textile Society Newsletter, Vol.4, No.2, May 2006. Ekstrand, Gudrun. ‘Some Early Silk Stockings in Sweden.’ Textile History, Vol.13, No.2, 1982. Fatelewitz, Madelynn. ‘Knitting in the North Atlantic’. Threads Magazine, No.16, 1988. Finch, Karen. ‘Some Early Italian Knitting Patterns.’ Medieval Dress and Textiles Society Newsletter, Vol.2, No.11, 2001. Gilbert, Ruth. 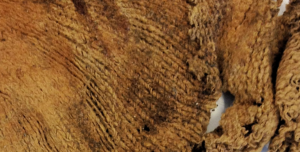 ‘“Not so much Cinderella as the Sleeping Beauty”: Neglected Evidence of Forgotten Skill’, in E. Andersson Strand, M. Gleba, U. Mannering, C. Munkholt (eds), North European Symposium for Archaeological Textiles X, NESAT X, Ancient Textiles Series 5, Oxford: Oxbow Books, 2009. Gordon, Jennifer. ‘Maritime Influences on Traditional Knitwear Design: The Case of the Fisherman’s Gansey: An Object Study.’ Textile History, Vol.41, No.1, 2010. Grass, Milton. ‘The Origins of the Art of Knitting.’ Archaeology, Vol.8, No.3, 1955. Gudjonsson, Elsa. ‘Some early examples of Icelandic knitting.’ Archaeological Textiles Newsletter, No.3, 1986. Hald, Margrethe. ‘Ancient textile techniques in Egypt and Scandinavia: a comparative study.’ Acta Archaeologica, Vol.17, 1946. Hansen, Egon H. ‘Nalebinding: definition and description’ in P. Walton and J. Wild (eds), Textiles in Northern Archaeology, Textile Symposium in York, North European Symposium for Archaeological Textiles Monograph 3, NESAT III. London: Archetype Publications, 1990. Hayward, Maria. ‘Knitted items from Henry VIII’s inventory.’ Medieval Dress and Textiles Society Newsletter, Vol.2, No.11, 2001. Hemingway, Penelope. ‘A Tale of Two Cities – Elizabeth Jackson (1809-1890).’ Yarnwise, No.52, September 2012. Henshall, Audrey. ‘Early Textiles Found in Scotland: Part I – Locally Made.’ Proceedings of the Society of Antiquaries of Scotland, LXXXVI, 1951-2. Henshall, Audrey. ‘Early Textiles Found in Scotland: Part II – Medieval Imports.’ Proceedings of the Society of Antiquaries of Scotland, LXXXIX, 1954-6. Henshall, Audrey. ‘Note on an Early Stocking in “Sprang” Technique Found Near Micklegate Bar, York.’ Annual Report and Transactions of the Yorkshire Philosophical Society, 1951. Heywood, Colin. ‘The Rural Hosiery Industry of the Lower Champagne Region, 1750-1850.’ Textile History, Vol.7, No.1, 1976. Higgens, C. W. ‘The framework knitters of Derbyshire.’ Journal of the Derbyshire Archaeological and Historical Society, Vol.71, 1951. Hoffman, Marta. ‘Of knitted “nightshirts” and detachable sleeves in Norway in the seventeenth century,’ in I. Estham and M. Nockert (eds), Opera Textilia Variorum Temporum, Stockholm: Statens Historiska Museum, 1988. Jenkins, Ian and Williams, Dyfri. ‘Sprang Hair Nets: Their Manufacture and Use in Ancient Greece.’ American Journal of Archaeology, Vol.89, 1985. Kjellberg, Anne. ‘Knitting and the use of knitted goods in Norway before 1700. From archaeological finds to documentary evidence,’ in I. Estham and M. Nockert (eds), Opera Textilia Variorum Temporum, Stockholm: Statens Historiska Museum, 1988. Lane, Barbara. ‘The Cowichan Knitting Industry’. Anthropology in British Columbia, Vol.2, 1951. Levey, Santina M. ‘Illustrations of the history of knitting selected from the collection of the Victoria and Albert Museum.’ Textile History, Vol.1, No.2, 1969. Lewis, P. ‘William Lee’s Stocking Frame: Technical Evolution and Economic Viability 1589-1750.’ Textile History, Vol.17, No.2, 1986. Matković, Vesna Marija Potočić. ‘The Power of Fashion: The Influence of Knitting Design on the Development of Knitting Technology.’ Textile: Journal of Cloth & Culture, Vol. 8, No.1, 2010. McNally, Anna. ‘Discovering Knitting at the Regent Street Polytechnic, 1898‐1948.’ Textile: The Journal of Cloth and Culture, Vol.12, No.1, 2014. Moor, Antoine De; Fluck, Cäcilia; Strydonck, Mark Van; Boudin, Mathieu. ‘Radiocarbon Dating of Linen Hairnets in Sprang Technique.’ British Museum Studies on Ancient Egypt and Sudan, Vol.21, 2014. Norwick, Braham. ‘The Origins of Knitted Fabrics.’ The Bulletin of the Needle and Bobbin Club, Vol.63, Nos.1,2, 1980. O’Connell Edwards, Lesley. ‘Evidence for hand knitting from Elizabethan England 1560-1600.’ Text, Vol.35, 2007-8. Pasold, E. W. ‘In Search of William Lee.’ Textile History, Vol.6, 1975. Pinto, Edward Henry. ‘The Knitter’s Craft’, Country Life, Vol.CII, 1947. Polley, Martin. ‘Knitting and the Olympic Games: Clothing, Competition, Culture, and Commerce.’ Textile: The Journal of Cloth and Culture, Vol.12, No.1, 2014. Pulliam, Deborah. ‘Gunnister Man’s Knitted Possessions.’ Piecework Magazine, Vol.X, No.5, September/October 2002. Riley, Jill; Corkhill, Betsan; Morris, Clare. ‘The benefits of knitting for personal and social wellbeing in adulthood: findings from an international survey.’ The British Journal of Occupational Therapy, Vol.76, No.2, 2013. Ringgaard, Maj. ‘Silk Knitted Waistcoats: A 17th century fashion item,’ in T. Mathiassen, M. Nosch, M. Ringgaard, K. Toftegaard, M. Venborg Pederson (eds), Fashionable Encounters: Perspectives and trends in textile and dress in the Early Modern Nordic World, Oxford: Oxbow Books, 2014. Rutt, Richard. ‘The Englishman’s Swimwear.’ Costume, Vol.24, 1990. Stanley, Montse. ‘Mil Anys de Punt’, in Mil Anys de Disseny en Punt, Terassa: Centre de Documentacio i Museu Textil, 1997. Strawn, Susan. ‘Knitting as Scholarship.’ Textiles and Politics: Proceedings of the Thirteenth Biennial Symposium of the Textile Society of America, 2012, Washington DC, September 18 – September 22, 2012. Tarrant, Naomi. ‘Britain’s Mrs. Jane Gaugin: Beyond the Knitting Books.’ Knitting Traditions, Fall 2011. Thirsk, Joan. ‘The fantastical folly of fashion: the English stocking knitting industry 1500-1700’, in N. Harte and K. Ponting (eds), Textile History and Economic History: essays in honour of Julia de Lacey Mann, Manchester: Manchester University Press, 1973. Thirsk, Joan. ‘Knitting and knitware, c.1500 – 1780’ in The Cambridge History of Western Textiles, Cambridge: Cambridge University Press, 2003. Turnau, Irena. ‘The Diffusion of Knitting in Medieval Europe’, in N. Harte and K. Ponting (eds), Cloth and Clothing in Medieval Europe: Essays in Memory of Professor E. M. Carus-Wilson, London: Heinemann Educational Books and The Pasold Research Fund, 1983. Turnau, Irena. ‘The Knitting Crafts in Europe From The Thirteenth To The Eighteenth Century.’ The Bulletin of the Needle and Bobbin Club, Vol.65, 1982. Turnau, Irena and Ponting, Kenneth. ‘Knitted Masterpieces.’ Textile History, Vol.7, 1976. Tynan, Jane. ‘Knitting for Victory: Military Chic in Fashion Knitwear’, in E. Dirix (ed), Unravel: knitwear in fashion. Tielt: Éditions Lannoo, 2011. Walton Rogers, Penelope. ‘Textiles, pelts and related organic finds’, in G. Sveinbjarnardóttir (ed), Reykholt: Archaeological Investigations at a High Status Farm in Western Iceland, Publications of the National Museum of Iceland, 29. Reykjavik: Snorrastofa and the National Museum of Iceland, 2012. Arnold, Janet. Knitted stockings in the 16th century, with special reference to those worn by Eleanor of Toledo and Queen Elizabeth of England. Paper presented at Second Seminar, Early Knitting History Group. London, 26 April, 1995. Baumel, Jutta. The Silk Trunk Hose of Elector Augustus of Saxony (1586-1591). Paper presented at Unravelling the Evidence: joint meeting of the Early Knitting History Group and Medieval Dress and Textile Society. London, 8 March, 1997. Black, Sandy. In the Loop: knitting technology comes full circle. Paper presented at Knitting Past, Present and Future: In The Loop Conference. Winchester, 15-17 July, 2008. Black, Sandy. Knitting in 20th century advertising and popular culture. Paper presented at Knitting Origins and Evolution: In The Loop Conference 2. Lerwick, 1-5 September, 2010. Buckland, Kirstie. The Sign of Some Degree: The “Mystery” of Capping. Paper presented at 43rd International Congress on Medieval Studies. Kalamazoo, 8-11 May, 2008. Buckland, Kirstie. The Mystery of Capping. Paper presented at Innovation Before the Modern: Cloth and Clothing in the Early Modern World, Pasold Research Fund Conference. Stockholm, 27-29 September 2012. Carter, Alison. Looking good on the beach: art deco wool-knit bathing costumes – were they ever designed for water immersion, or simply for sun-bathing? Paper presented at Voices of Knitting: In The Loop Conference 3. Winchester, 5-7 September, 2012. Chapman, Roslyn. Cultural Sensitivities: Debunking the myths of Shetland lace. Paper presented at Knitting History Forum Conference. London, 19 November, 2016. Christiansen, Carol. The Best of British: knitwear used by Polar and Himalayan explorers. Paper presented at Voices of Knitting: In The Loop Conference 3. Winchester, 5-7 September, 2012. Finch, Karen. Recent archaeological finds in Copenhagen. Paper presented at Knitting History Forum Conference. London, 3 November, 2007. Fletcher, Zoe. Designing for breed: Enhancing the potential for British wool in UK knitwear manufacture, through design, new technologies and marketing strategy’ . Paper presented at Knitting History Forum Conference. London, 14 November, 2015. Gilbert, Ruth. The Development of Hand-knitting Technology in Britain in the Sixteenth and Seventeenth Centuries: Evidence from Surviving Garments. Paper presented at Innovation Before the Modern: Cloth and Clothing in the Early Modern World, Pasold Research Fund Conference. Stockholm, 27-29 September, 2012. Harkness, Kristen. Ladies vs. Women? Spinning and Knitting in 19th Century Russian Paintings. Paper presented at 45th Annual Convention, Association for Slavic, East European and Eurasian Studies. Boston, 21-24 November, 2013. Twigger Holroyd, Amy. Keep and Share – amateur knitting practice as a sustainable strategy. Paper presented at Knitting History Forum Conference. London, 8 November, 2014. Malcolm-Davies, J.; Davidson, H.; Frost, R.: “He is of no account… if he have not a velvet or taffeta hat”: A survey of excavated sixteenth-century knitted caps. 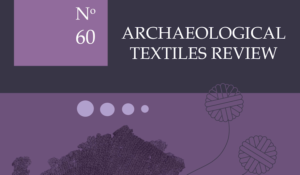 Paper presented at NESAT XII (The North European Symposium for Archaeological Textiles). Hallstatt, 21-24 May, 2014. Mann, Joanna. A Skilled Tradition? Shetland Lace and Ecologies of Practice. Paper presented at Royal Geographical Society (with the Institute of British Geographers) Annual Conference. London, 27 August, 2014. Molinari, Matteo. Crocheting Cultures: traditions and practice in Italy and the UK. Paper presented at Knitting History Forum Conference. London, 9 November, 2013. O’Connell Edwards, Lesley. An unrecognised workforce? Hand knitters as wage earners in England from the 16th to the 19th centuries. Paper presented at Knitting Past, Present and Future: In The Loop Conference. Winchester, 15-17 July, 2008. Price, Maria. Researching and designing costume and knitwear for film and TV. Paper presented at Knitting History Forum Conference. London, 9 November, 2013. Ringgaard, Maj. Framing Early Modern Knitting. Paper presented at Innovation and Creativity in Europe, 1500-1800, Fashioning the Early Modern Conference. London, 14-15 September, 2012. Rutt, Richard. “When is knitting not knitting?” Trichinopolis chain, 3rd century B.C. braids from Jiangling. Paper presented at Second Seminar, Early Knitting History Group. London, 26 April, 1995. Rutt, Richard. “Jewellers’ Knitting?” A puzzle from the Viking Age. Paper presented at “Knitting and Networking” Seminar, Early Knitting History Group. Manchester, 24-25 March, 1996. Stanley, Montse. Spanish Medieval Knitting. Paper presented at Inaugural Seminar, Early Knitting History Group. London, 20 April, 1994. Sykas, Philip. Silk Yarns for Knitting and their use in Britain. Paper presented at Knitting History Forum Conference. London, 6 November, 2010. Waller, Jane. Knitting fashions of the 1940’s: styles, patterns and history. Paper presented at Knitting Past, Present and Future: In The Loop Conference. Winchester, 15-17 July, 2008. Warburg, Lise. Knitting with both ends of the ball – the Geography of Twined Knitting. Paper presented at Knitting History Forum Conference. London, 10 November, 2012. Please also see Knitting History Forum Conference Papers and Early Knitting History Group Papers. O’Connell Edwards, Lesley (compiler). “Bibliography of the history of knitting before 1600”. Bulletin du CIETA, No.77, 2000.
or view the latest version of the bibliography on the Knitting History website. Select bibliographies of knitting to the present day may be consulted in ‘A History of Handknitting’ by Richard Rutt and ‘Knitting: Fashion, Industry, Craft’ by Sandy Black. Details as above. Finch, Karen. Review of Primitive Scandinavian Textiles in Knotless Netting by Odd Nordland, Journal of Museum Ethnography, No.9, 1997. Finch, Karen. Review of Om Strømper (About Stockings) by L. Brahe Christensen, Valby Strømpefabrik, 1953. The KHF General Knitting Reading List has other books on the theory, practice and traditions of knitting, crochet, nalebinding and sprang. See also the Knitting History Forum Resources page for links, conference papers and other aids to research. Compiled by I. N. Eliatamby. Additional material contributed by L. A. O’Connell Edwards.